The babel option bahasa is actually a synonym for bahasai and loads Bahasa Indonesia (ISO-639 ind). (For the linguistically minded, both zsm Standard Malay and ind Bahasa Indonesian, as well as many other languages, are members of the Malay macrolanguage (ISO-639 msa). [Rant Warning] I don’t want hyphenation in my document; what do I do? In recent months, I’ve been getting this query/complaint about “broken words” at the end of lines in LaTEX documents. Some asked me whether this is allowed in thesis writing and documents at all, and could I fix this “serious bug” in my LaTEX thesis templates ASAP. Now — here’s the long explanation about the role of hyphenation in professional typesetting. It’s ranty and may be a bit incoherent in places — you’ve been warned. Not only is hyphenation acceptable in thesis writing (unless your institution expressly forbids it, that is), it is essential in professional book design and publishing. Without hyphenation (like default setting in Microsoft Word), the space between words would be inconsistent, some narrow and some wide, resulting in “rivers” (publishing jargon). See this article on self-publishing, under section “Hyphenation is nonexistent”. If you look at professional text books published by large publishers (or books published in the 70’s before Microsoft Word became popular) you will notice that those which do not hyphenate words at the end of lines are all left-aligned (not justified) — so that spaces between words don’t have to be stretched. Professionally published books which justify their text, always hyphenate the words at the end of the lines if they do not fit nicely on the same line. See also journal papers published by IEEE and ACM — you will see the hyphenations in action (because they use LaTEX document classes). Earlier versions of Microsoft Word could not hyphenate words. This is actually a shortcoming of Microsoft Word, not a feature. As comparison, professional desktop publishing software like Adobe InDesign, QuarkXpress, all support text hyphenation (some only recently). Unfortunately, since Microsoft Word was/is so popular (no thanks to bootlegged copies of Microsoft Office) during everyone’s secondary school and undergraduate days (in this part of the world anyway, back when copyright laws were not really enforced and intellectual property an unfamiliar concept), one whole generation grew up thinking that hyphenating words is a “bug” and a “defect” (← one thesis examiner actually used these words). Knuth, D. E., & Plass, M. F. (1981). Breaking paragraphs into lines. Software: Practice and Experience, 11(11), 1119-1184. Plass, M. F. (1981). Optimal pagination techniques for automatic typesetting systems (Vol. 870). Stanford University. Liang, F. M. (1983). 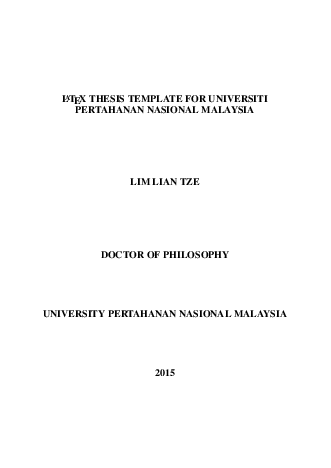 Word Hy-phen-a-tion by Com-put-er (Doctoral dissertation, Stanford University). Brüggemann-Klein, A., Klein, R., & Wohlfeil, S. (1998). On the pagination of complex documents. Fernuniv., Fachbereich Informatik. Fine, J. (2000). Line breaking and page breaking. TUGBoat, 21(3), 210-221. So is hyphenation a “defect”? NO. It may not always be what you want or suitable for the occasion (e.g. when the text width is narrow! ), but it is most definitely not a bug. This post is also published on the Overleaf blog. LaTeX‘s versatility makes it a rather handy (and free!) tool for creating various goodies, including monthly calendars. So here’s my stab at creating a LaTeX class and template for creating customisable, multilingual monthly calendars, that fit in CD or 3.5″ disk jewel cases. Pictures and events can be added, and you can choose any month range for your calendar — it’s not necessary that they begin on January and end on December. You can make them for personal use, gifts or memorabilia for special events e.g. anniversaries. They may also be used for publicity or merchandise if you happen to be running a club or society. For example, you could make a calendar showcasing birds frequenting your neighbourhood for your local birdwatching club. Work-wise, you might want to make a calendar for your journal paper reading group, highlighting important dates for assignments and conference submissions in your field in the coming semester. You can clone the git repository on Bitbucket, or download a .zip file. Alternatively, you can also open and edit a CD-sized or floppy disk-sized calendar template on Overleaf. For those who are interested in the technical details: the calendar is rendered with tikz, and the 2-up or 4-up layout is done with pgfpages. The image will be added at the top left of the current page. The original proportion will be preserved, so you do have to choose an illustration of appropriate proportions to fit the empty space. The event will be listed above the monthly calendar, and the date is circled in the calendar itself. 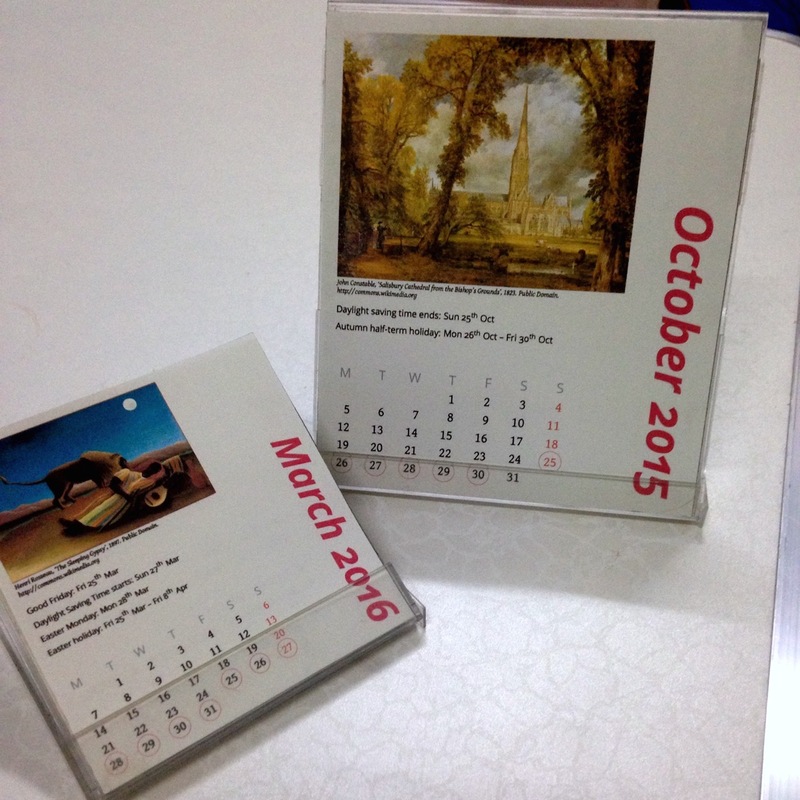 Events must be given after the relevant \monthCalendar and on the same page. Both forms of the command will give the same output. The dates, month names and weekday initials can be localised to languages that are supported by the babel, translator and datetime2. We’ve tested the following language options: british, spanish, french, ngerman, italian, portuges, polish, croatian, greek. Just remember to use LuaLaTeX to compile your project if it’s in french — it doesn’t work well with PDFLaTeX, and XeLaTeX doesn’t work well for this template. [31 Dec, 2019] The latest version can now be compiled with XeLaTeX. The fonts and colours of most elements can be customised at any point in the calendar; take a look at the templates to see some examples. For convenience’s sake, a \makeCover command (and the necessary metadata commands) is also provided. It’s been a lot of fun creating this template, and I’m sure you’ll find many more uses for this calendar. Enjoy! The LaTeX Beginner’s Guide ebook by Stefan Kottwitz is available for free for 24 hours today (4 March 2015)! I’ve previously reviewed this book on this blog, and here’s further information about the event. This is a great book if you prefer a step-by-step tutorial approach to learning LaTeX. So if you’re interested, go ahead and download it now!